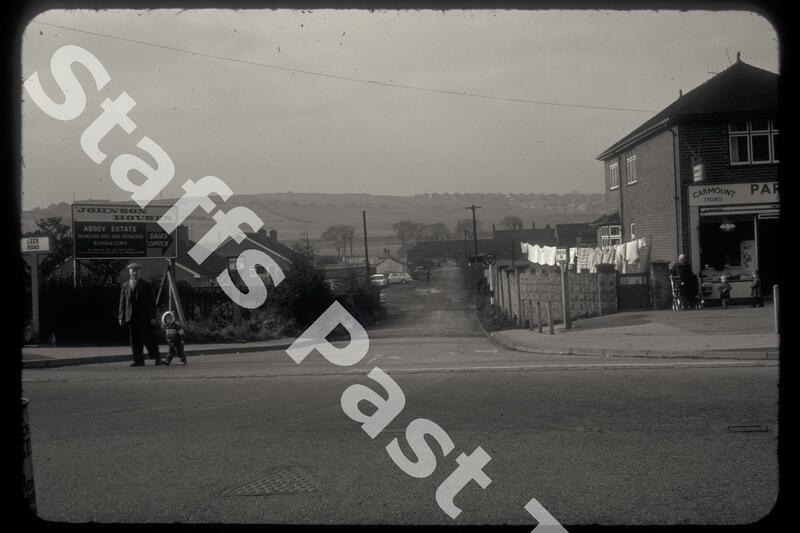 Description:The view east along Birches Head Road from Leek Road in Abbey Hulton. 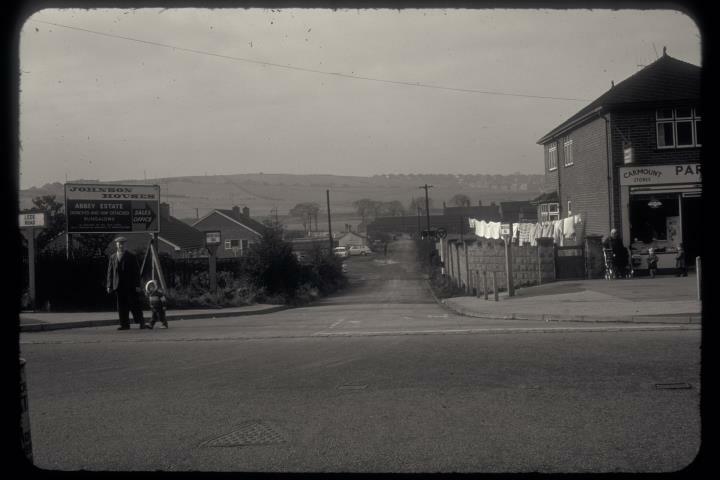 The housing to the top right of the photograph is in Sneyd Green. The land to the left of the junction is now housing and Carmountside Stores (right) is still a shop, albeit no longer a grocers. There is an old fashioned "STOP" road sign at the junction. The River Trent and the Caldon Canal run across the photograph in the lower ground marked by the line of trees. The modern Birches Head Academy school now occupies some of the open land across the valley.